Primus Law Office is a professional association which traces its origins to the early 1950's when Lee B. Primus opened an office in what was then known as the Midland Bank Building. Since that time, Primus Law Office, P.A. 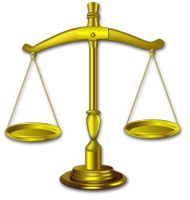 has been helping families and businesses in virtually all areas of the law. Primus Law Office, P.A. is rated as an "A-V" firm by Martindale-Hubbell. Primus Law Office, P.A. represents clients throughout the country in areas of transportation, real estate, corporate law, and litigation. The firm works with many of the country's best known businesses, corporations and law firms. In addition Primus Law Office, P.A. represents clients having needs of a more personal nature, such as family law and estate planning. All the attorneys at Primus Law Office, P.A. have extensive experience in their particular specialty and utilize state-of-the-art computer and communication technologies to assure maximum effectiveness in resolving any legal matter. Please let us know at frontdesk@primuslawoffice.com how we can be of service to you. Primus Law Office has represented three generations of clients in family law matters. These include divorce (marriage dissolution), child custody, visitation, support, adoption, post decree actions, paternity and other areas, including more unusual actions such as grandparent custody and visitation actions. We have appeared in many counties in the state, and have represented clients residing in other states and countries in Minnesota family court actions. Primus Law Office, P.A. 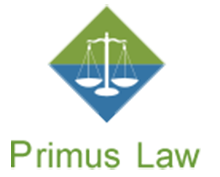 has an extensive practice in the areas of guardianships and conservatorships. A guardianship or conservatorship is a court proceeding established to protect an incapacitated adult. On this page you will find Articles about issues arising in conservatorships, and Selected Statutes regarding guardianships and conservatorships. Primus Law Office, P.A. has provided assistance to three generations of families in planning their estates and administrating their estates & trusts. The planning process can also include planning for disability. (Guardianships & Conservatorships). Estate planning services range from the preparation of simple wills to more complex estate plans including provisions for a supplemental needs trust for an incapacitated family member, minimizing or eliminating of federal estate taxes, and contingency planning for persons with minor children.